Bhimdattanagar, Kanchanpur – Nine patients receiving treatment at Mahakali Zonal Hospital have been diagnosed with dengue, said the hospital. The disease was detected in the total 10 people visiting the hospital for treatment in the past one month alone, said Keshab Datta Awasthi, the hospital's information officer. 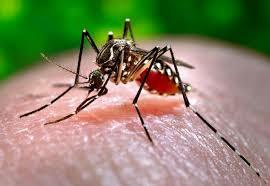 "The dengue patients, most of them from Bhimdattanagar, have received treatment at the hospital. The disease was detected in four or five people last year," he said. Those working in bordering Indian cities might have transported the disease to the district upon their home arrivals especially during festivals, he said. A health desk was set up at Gaddachauki transit in Kanchanpur three years ago for screening for malaria and tuberculosis. But the desk lacks a dengue test, thus making the matter worse. The health desk cannot afford the expensive a rapid test kit used to detect dengue, said the District Public Health Office.